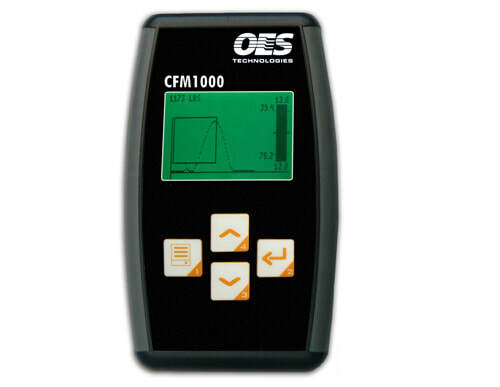 The CFM1000 Crimp force monitoring unit is now available, with the option of fitting these units to most crimping presses on the market. Supply Voltage 24DC @ 350mA External power supply included or optionally powered from press via interface cable. ForceView software running on a PC interfaces with the CFM1000 to support capability studies, setup, monitoring and analyzing process trends relative to control tolerances, and data logging. Immediately color graphs of crimp process signatures are displayed on ForceView for Windows showing any trend relative to configurable upper and lower tolerances. The new CFM2203 crimp force monitoring system can be installed on most cut strip and terminate machines on the market, with a full spc data capture package, the system can detect bad crimping & stop the machine during production, saving time, inspection and poor quality. Crimp defects are effectively detected and differentiated from normal crimp process variation. In-process monitoring and detection of crimp defects including insulation inside conductor crimp, missing strands, change in crimp, dimension, deformed crimp, twisted terminal, worn or broken tooling, change in crimp material, variation in the crimp bell mouth. Adaptable to a wide range of automatic wire processing machines. Configurable features and options for integration with the wire processing machine functions. Data management features for data logging. exporting, and part number entry and management. 100% production traceability when connected to ForceView 3. Stores data for playback or export into production and quality reports. Advanced crimp force algorithms deliver the highest level of crimp defect detection with minimum false rejects. Consistent and reliable crimp defect detection for a wide range of terminal and wire crimping combinations. Common configuration settings support efficient and error-free machine setup. ForceView 3 displays graphic detail of the crimping process, reveals process variation associated with crimping defects, and variations in the process.